On 8 June 2017, the Conservative government of Theresa May called a snap election in the hope of winning more Tory Members of Parliament (MPs). This new Tory gamble backfired however. Labour advanced in these June elections, and the Tory Party lost its overall majority. To continue governing, May is now forced to seek allies in the 10 Northern-Irish DUP MPs. The DUP is a Protestant organisation in Northern Ireland that declares its loyalty to the British monarchy and to the British troops still stationed there. In secret alliance with British imperialism, the DUP dabbled in acts of terrorism against the IRA in the 1970’s. Today, the DUP still insists on religious segregation in Northern Ireland, and on keeping walls between Catholics and Protestants. The election was called ‘snap’ because legislative elections were not due in Britain before 2020. At very short notice therefore, England, Scotland, Wales and Northern Ireland had to send MPs to the United Kingdom (UK) parliament at Westminster. Sinn Fein – which did well in Northern Ireland with 7 seats – refuses to take those seats in the way of protest against UK continued rule over Northern Ireland. The Sinn Fein’s vote grows at each election, and this time, the old Social Democratic Party (SDLP) lost its last 3 seats. As for the May government, its alliance with the 10 DUP MPs did not improve its capacity to impose more austerity on the British masses. There is now a general understanding that May will have to call fresh elections soon, particularly in view of the implacable differences in her Party regarding the country’s relations with the European Union. Although the Conservatives (Tories) won the elections with 318 seats, they also lost 13 seats. The Labour Party did not lose any, and won another 30 instead. Jeremy Corbyn’s Labour’s total of 262 seats leaves the bourgeois class stupefied, furious and dumbfounded. In the country overall – and electorally speaking – UKIP has disappeared – and the LibDems barely survive with 12 MPs. Because the Greens often withdraw in favour of Labour, this election became a straight class contest Tory-Labour. In Scotland, the SNP lost 21 seats and retained only 35. The Conservatives have now 13 additional MPs (instead of one), but some of this gain comes from the fickle Scottish-UKIP and possibly some SNP. Labour wins new 6 seats, partly from the SNP, but mostly from the working class vote that abstained during the Blair-Brown-Miliband years. In Wales, Labour has now 38 seats in total, having won 3 more. The Conservatives have declined, winning only 8 instead of the 11 they had. The Nationalists of Plaid Cymru are left with only 4 seats, having lost 1. The Labour Party’s overall electoral results point to its having won back a section of the Nationalist vote in Scotland and Wales. But it did even better than that: As the Guardian of 9.6.17 reported: “[Labour] made gains across the country [..] while the Tories saw their modest but still substantial increase [..] concentrated largely in the seats they already held”. With Corbyn as leader, Labour attracts a lot of votes from the young. By May 2017, 24,487 new young people had registered to vote – most of them for “Corbyn” as it transpired – and many to join the Labour Party. Since 2015, the right wing of the Labour Party failed repeatedly to push Jeremy Corbyn out of the Party’s leadership. 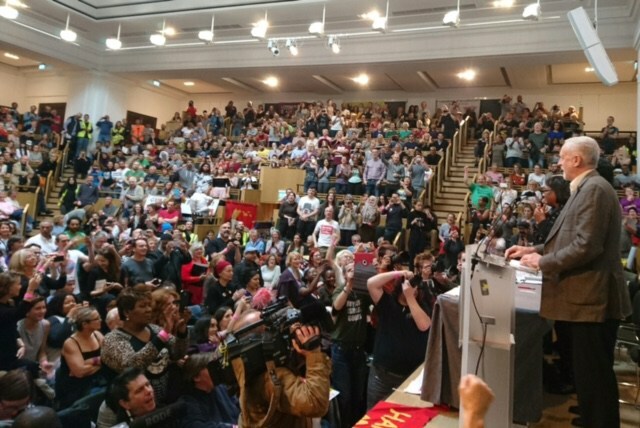 In the present elections, Corbyn conducted an impressive campaign that attracted hundreds of thousands of voters and tens of thousand of new members – particularly in the working class masses, the Trade Unions, the old mining towns, the students, the general left and the workers’ areas. Full of class hatred, the bourgeois press was foreseeing a loss of 80 seats for Labour, followed by Corbyn’s destitution and his immediate replacement; but the opposite happened. Labour’s support grew and regained strength in its old working class strongholds (like Scotland). Corbyn’s authority grew in the big towns, particularly in London where 4 new seats were won. In the run-up to the elections, the Labour Party became assisted by the large forces of a national left-Labour organisation called Momentum. The latter was set up less than 2 years ago to help Jeremy Corbyn win the Labour leadership, and then to help him retain that leadership. 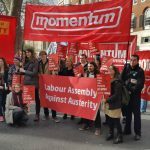 Momentum had 23,000 members at the end of 2016. It has at least 150 groups nationally. 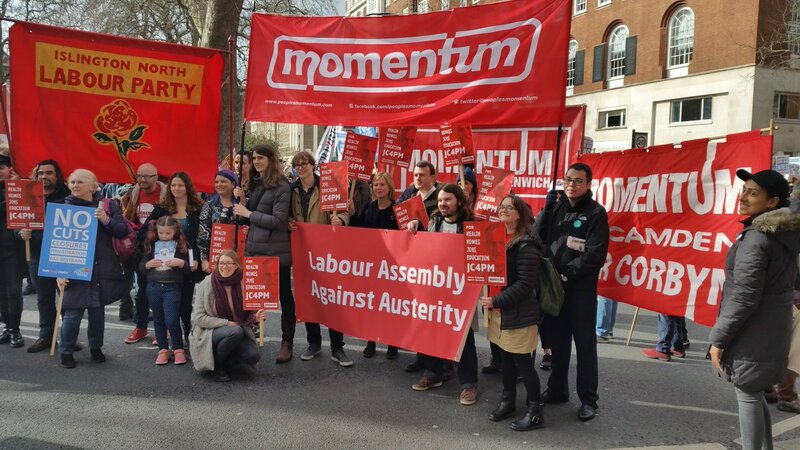 In this electoral campaign, the Labour Party was mightily assisted by the various Momentum groups, and it (Labour) won many new members who are also in Momentum. It would appear that nationally, at least 3 Momentum sympathisers became Labour Party MPs. Labour is now the biggest ‘Socialist’ Party in Europe. In May 2015, it had 190,000 members. In July 2016, it had 515,000. In a recent count, it had more than 800,000. Jeremy Corbyn impressed the whole country with a detailed Manifesto based on 10 programmatic points aimed at wealth redistribution. One of these points proposes 3 nationalisations (Rail, Post and gas-electricity); the other points propose taxing the rich, borrowing, and spending where needed to satisfy human need. This very moderate Manifesto is radical in the way it causes Labour to break suddenly from its long submission to the policies of austerity. Although under the Cameron-Clegg coalition (2010-15), austerity (that continued of course) was already being accompanied by high levels of State borrowing. The way Cameron gambled with Brexit, lost his bet, and suddenly abandoned politics in 2015, shows that capitalism feels bemused and rudderless. This disarray was spectacular when, just after winning the elections, Theresa May dropped the elements of austerity contained in her Tory Manifesto. J Corbyn benefitted from this weakness, itself created by the anger of the population against austerity; but he benefitted also from a certain recognition, kept hushed by the bourgeois class, that austerity is laying the ground for a revolutionary situation. The Theresa May’s government continues with her penny-pinching austerity programme, but a new crisis has come to underline the degeneracy of austerity: A large number of poorer people were burnt alive at the Grenfell Housing Tower when it caught fire on 14 June 2017. About those who died, John McDonnell said that “they had been murdered by political decisions”. 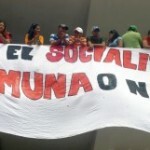 In the subsequent meetings and protests, people brought placards saying: “austerity kills”. For many years now, the Tory and Labour governments allowed the decent council flats of the past to be sold. The workers were pushed out of the big towns, or towards the private landlords who charge extortionate rents. In the tower that burnt, people were crammed into obviously unsupervised and sub-standard housing. For years, the policy of austerity removed from the local councils the power and the funds to pursue a decent housing policy. Considering all this, John McDonnell’s talk of ‘murder’ is no exaggeration. After the fire, people turned even more vigorously towards Corbyn to express their indignation and condemnation of austerity; but the austerity they condemn is the policy of capitalism. This reality imposes itself on the Labour Party and stops the Labour right-wing attacking Jeremy Corbyn as freely as it would like. In spite of the class struggle that takes place in the Labour Party, it is not really divided. It is moving to the left as a whole. The ordinary workers and masses regroup behind the Corbyn leadership to shape Labour into an anti-austerity instrument. In perspective, this requires the defeat capitalism. This is why Jeremy Corbyn and John McDonnell did not lose support when they made passing references to Socialism. The Labour masses concentrate behind Corbyn’s proposals for social protection and human development. After all, since capitalism doubled the State’s debt in 17 years to look after the richest in society, why can’t Labour borrow, in its turn, to look after everyone else? The advance of Labour in those elections has served to demonstrate to the bourgeois class that its austerity project has failed; and that people are preparing to fight. Capitalism is at its wits’ end about what else to do because it cannot grant to people even a fraction of what they need. 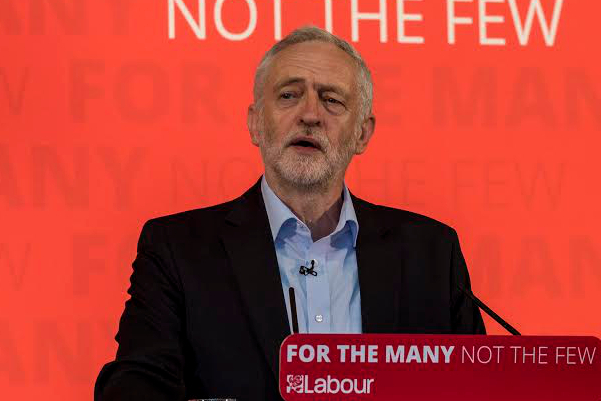 Through the Corbyn vote, the British masses agree with “creating an economy that works for all” – the slogan of Corbyn during the campaign. In this election, the vote for Labour has been a vote for Corbyn; not a vote for the accommodated machinery of the Labour Party and its Labour-led Councils. It is a vote for life. It is a vote against death, against being burnt alive, and against those – in Labour particularly – who will continue with the ‘death policy’ if only they can get away with it. 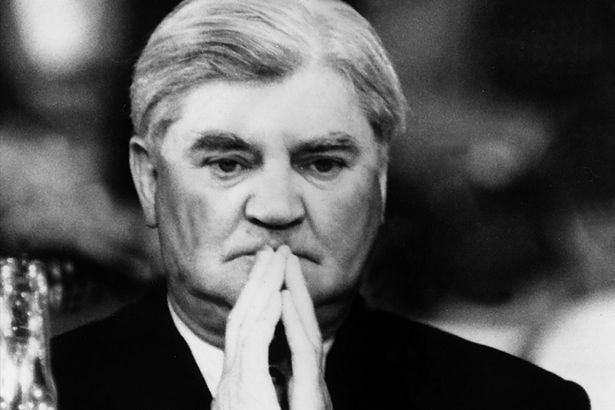 The swing to Labour – almost the greatest since 1945 – is a cry of revolt. This is why the young are inspired by Corbyn, this honest man who puts the human being first. The young, the workers, the anti-capitalist and anti-war campaigners, many intellectuals and artists are moved by him; not only because they feel understood, but because they feel that his leadership begins to concentrate the forces of social transformation. The epoch of mass Labour abstention is ending. The 6 additional Labour seats in Scotland and the 3 in Wales point to some Nationalist rebels returning to Labour. The good electoral result in spite of the timidity of the Labour Party machinery, points to many more ‘marginal’ areas to be won next time, with a more scientific Labour campaign. There will also remain a lot of Labour votes to be had, because in Scotland for example, the Labour leadership of Kezia Dugdale was advising some people to vote Tory “to keep the SNP out”! This advice was probably not well followed, but it invited Labour voters to be wary of Corbyn. This kind of thing happened in differing degrees in many parts of the country. 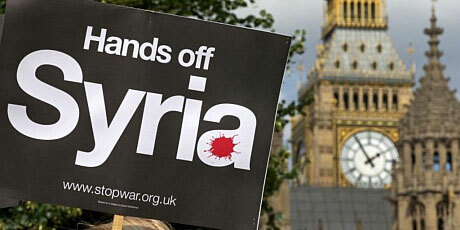 The UK is directly involved in 7 imperialist wars as well as in countless indirect ones. 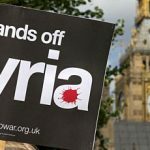 The UK military accompanies the United States and Nato in most provocations and acts of imperialist murder around the world. Not to forget either their world-war preparations against Russia & China. The colossal costs of war involved are the true reason behind the policy of austerity. In Britain, the vote for Corbyn is an insurrection against this ignominy; it is a vote against the mad plans of a handful of demented capitalists. 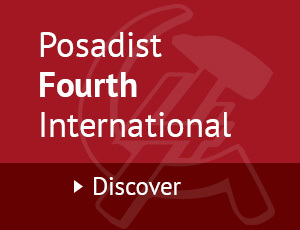 It is a vote in defence of human need and human life, against capitalist degeneration, decomposition and savagery. The counter revolutionary attempts against the Maduro government in Venezuela form part of the hope that the imperialists have to destroy all traces of Revolutionary States and Workers States – if they can. The war against Jeremy Corbyn – outside and inside the Labour Party – forms part of this too. This alarms and arouses the British masses. They are not just supporting Jeremy Corbyn; they reject the demand, once addressed to him, that he should be ready “to press the button”. The ordinary people hailed him when he rebuffed this attack competently; they always knew, besides, that there is a link between the imperialist wars abroad and the incidents of ‘terrorism’ at home. When he spoke openly about this link, he won so much support that his bourgeois detractors stopped accusing him of ‘justifying terrorism’. The rise in the Labour vote in this election is more than quantitative. It is qualitative as well, in defence of historic truth, of human reasoning and of the need to preserve what is left of civilisation. In April 2017, the Guardian expected the working class to vote ‘along Brexit lines’: those who had voted UKIP in the referendum would now vote Tory, and the Tory Party would roll over Mr Corbyn. But it did not happen that way. Out of 19 Northern constituencies where workers were deemed to have voted Brexit in the past (like Newcastle Under Lyme, Barrow- in-Furness, Hove, Lancaster & Fleetwood, Coventry South, Darlington, Scunthorpe, Chorley, Exeter, Bolton NE, etc. ), 17 allowed a Labour win, even if sometimes narrowly. In all these places, Momentum helped to regain the Labour vote lost during the Blair’s years. In major working class centres like Leeds North West, the UKIP (Brexiters) did not stand candidates. But their vote did not go to the Tories as anticipated, because the Tories increased their score by only 1%. The preoccupation of people was not about Brexit therefore, and it was not with Remain either because the LibDems (Remainers) lost nearly 2%. With the help of Momentum, the Labour vote rose by 14% – and the pro-Corbyn Labour candidate, Alex Sobel, won comfortably. Alex comes from a family of immigrants and dockers. He heard nothing about immigration on the door-steps, and his main concerns are as follows: “We need a different economic model”. “We need a national and regional investment bank”. “We need to take a stake in the financial sector to stop a new crash”. In Liverpool Walton, UKIP said that it did not stand to help the Tories along, but the winner, now Labour MP Dan Carden, won by a measure of 36 to 4 against the Tories. Again, Brexit was not a concern therefore, and neither was Remain because the LibDem (Remainers) were left with 600 votes. Dan did not hear anything about immigration either, but he heard plenty about the plight the agricultural workers and farmers in his constituency. For them, he proposes a programme aimed at protecting agriculture from the bullying of the multinationals. In support of Jeremy Corbyn and the Labour Manifesto, he says: “we need the financial power [..] to stop capital flight”. Alex Sobel and Dan Carden campaigned with the Labour Manifesto in their hands, and contributed to it with their own ideas. They recognise and praise the national role of Momentum, and not just in their areas. They say that Momentum’s use of social media helped their campaign beyond imagining, and transformed their local Labour parties’ strategies. On top of this, J Corbyn himself came to speak to the thousands who crowded into the Leeds Brudenell Social Club to hear him. He also went to speak at the Wirral Beach to huge crowds where Dan Carden and others recruited 1,000 members in Walton immediately afterwards, and where 10,000 new Labour members were recruited in the Wirral overall. 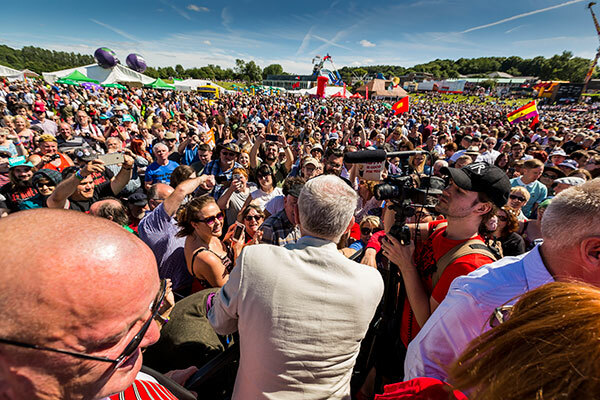 It is the working class and masses that created J Corbyn, not the other way round! This is what terrifies capitalism. The latter realises that it fails in world trade, it fails militarily, it fails financially, and it is being successfully challenged by this J Corbyn it abhors. In each constituency, the Labour Party members are now demanding accounts from the Labour MPs who won through Jeremy Corbyn’s authority, but who pretended during the campaign to have nothing to do with him. 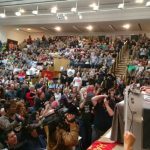 The Labour masses and the Trade Unions – particularly those now swelling the ranks of Momentum – do not agree with Mr Tom Watson that mandatory reselection for MPs is “an inherently intolerant mechanism”. The Labour masses are educated and discerning politically. They turned down the bad copy of J Corbyn called ‘Owen Smith’. In these elections, they witnessed Labour candidates standing on the Labour platform but hardly mentioning their Party’s name, whilst hiding Jeremy Corbyn and his picture, and never saying a word about the Labour Manifesto. The machinery of the Labour Party intervened in the electoral campaign with the caution of those who did not want Jeremy Corbyn to win. Indeed, he did not win, but he proved that he could have done, or that he stands a good chance next time. That is to say, if the Party supports him. It is not enough for the Party leaders to eat humble pie now. They broke their own rules when they failed to support their national Party and their national leader. What convinces people to campaign for the Labour Party is their political understanding. This is why it is ultimately in the interests of the Party to facilitate the education of its members. The Party needs to increase its capacity to educate its members, and not just occasionally but consistently. The views of Dan Carden and Alex Sobel must be discussed in the functions of the Party. Party members must visit each other’s constituencies around particular political themes, like housing, the NHS and foreign policy. The new MPs like Carden and Sobel are not electoral technocrats. They won Labour votes by showing the seriousness of the Manifesto and their own convictions. There is a great need for the Party to raise the political level of its members, and discuss the Labour Manifesto in every local branch. The Manifesto declares its intention to recognise the Palestinian State for instance. This matter is going to need all the intelligence of the Party, all the intelligence of Momentum and that of all he Party’s base. The present Party functioning is not geared to collective study and political analyses from the working class’ point of view. This can be remedied by setting up study groups around the Manifesto, for instance, and by drawing these study groups closer to the Trade Unions and the ordinary people struggling for their rights in every locality. There is also the need for the Party, through Momentum and the Trade Unions, to make links with the Trade Unions and working class organisations in the rest of Europe. Chris Williamson – who did not make it onto the NEC at the 2016 Labour Party Conference – was elected in Derby North where the Labour vote rose by 12%. Chris says: “It was Momentum that helped Labour to win back Derby North, demonstrating a model that should be followed elsewhere”. 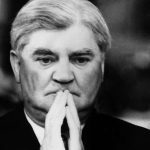 When he learnt the results, he recalled what Bevan had said about the interior of the House of Commons: “It is meant to cow a politician from humble origins”. He added that in 2015, he lost the seat to the Tories by 41 votes, and now he won with a majority around 2,000. His local Party reckoned that this seat was too hard to win, but Momentum did not believe this. The fact that he has won indicates that the conditions existed then, and exist now to drop the defensive way of campaigning which the local Labour Party (and region) adopted. Dropping the defensive way of campaigning should now help win other Tory ‘marginals’ like Mansfield, Stoke On Trent, Walsall North and North East Derbyshire. In Derby North, where Chris won, the local Party did not train new canvassers in the pool of Momentum volunteers who came up from far and wide. Not believing it could win, it sent its own canvassers elsewhere. It was Momentum that had the confidence in the Labour message, in the Corbyn leadership and in the power of the Manifesto to want to attract the working class in Derby North. Momentum is not a Party within the Party, and Corbyn is not an infiltrator. The masses refuse to pay for the crisis of capitalism and its insane wars. They refuse to be burnt alive in the bonfires of austerity. Thanks to the impulse of Momentum, the local Labour parties can now feel less subjective, less defensive and less limited to their own forces. In circumscriptions like Hampstead and Kilburn, Momentum came physically (as well as on-line) and allowed Labour to cast off its ‘marginal’ status. Momentum also picked up the slack in that particular Party’s online campaigning, as well as in other parts of the country. To modernise the national campaignMomentum used campaigning methods taught by Bernie Sanders . One video produced by Momentum reached 17 million Facebook users. Bernie Sanders himself came to Britain. It was mostly Momentum that gave to the Labour candidates the graphic-design and digital-marketing skills they needed to reach the Corbyn supporters and voters (kept isolated and uninformed by the capitalist press). The apparatus of the Labour Party needs to recognise this great advance by incorporating Momentum into the Party’s structures, instead of letting it be proscribed in some places by the enemies of Socialism in the Labour Party. Momentum has created a vast pool of Labour supporters most of whom are in Trade Unions or/and in Youth organisations. These supporters see the need for social change and transformation. They want the economy to satisfy human need – but this can only be done by a Socialist economy. It is the role of the Labour Party to explain this. 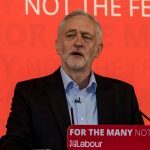 By supporting Corbyn in these elections, the masses have demonstrated that they have the appeal to make electoral progress on the basis of their own ideas. By supporting Jeremy Corbyn against the treacherous advice of Peter Mandelson, they proved their self-confidence and their self-belief. In the next elections, which may be soon, the structures of the Labour Party will not be able to marginalise Momentum. The Labour membership will defend the Party to the extent that the Party breaks with austerity. In that process, the membership (which is Youth and Trade Union based) will insist on a greater objective and scientific political preparation of the Party. They will want to win more Labour MPs next time, and above all, they will want the Party as a better tool of social transformation. At least the second Tory gamble. The first was when Cameron tried to stop the Tory Party splitting by calling a referendum on Brexit (June 2016). DUP: Democratic Unionist Party: A Protestant Northern Irish Conservative Party that fought (through armed paramilitaries) to stop Northern Ireland gaining its independence and Ireland being reunified. In 2016, there were still 5,000 British soldiers in Northern Ireland. Led by Gerry Adams, Martin McGuiness and others. Up to recently, they led the Northern Irish Stormont parliament with the DUP. United Kingdom Independence Party; used to be led by Nigel Farage, who spearheaded the Brexit referendum (June 2016). Liberal Democrats: Created in the 1980’s by a right wing break from Labour in alliance with bourgeois Liberals. They want a second referendum to cancel the Brexit vote. Scottish Nationalist Party, headed by Nicola Sturgeon. Scottish-UKIP launched a Manifesto in May 2017 in Scotland. It stood 10 candidates (instead of 41 in 2015) – but it got no seat, as in 2015. Plaid Cymru: Nationalist Party in Wales, led by Leanne Wood. Recent figures indicate: Conservatives (Tories): 149,000. Liberal Democrats (LibDems): 82,000. Scottish Nationalists (SNP): 120,000. BBC News 29,6.2017 reported that (about the UK State): “while the amount being borrowed each year has been falling, the overall debt is still rising. Other sources put the UK debt at £1.3 Trillion in July 2017 – approx 1.7 Trillion dollars. This refers to the fire at the publicly owned Grenfell Housing Tower that devoured 120 flats in less than two hour, leaving a large but unknown number of persons presumed dead. This was in the rich Tory borough of Kensington and Chelsea, West London. Close collaborator of Jeremy Corbyn. Shadow Chancellor of the Exchequer. John McDonnell said this at the Glastonbury Festival on 24.6.2017, to the acclaim of at least 150,000 people. He won such acclaim that no right-wing newspaper dared indict him for this direct accusation. The capitalist press published articles where it accused Corbyn of buying the students’ votes with the promise of the abolition of students’ fees. But those who do “buy“ support are the Tories, who paid one BILLION pounds to the DUP for their political support! Artists who called for a Corbyn vote include AJ Tracey, Jme, Stormsky. They are not blind to Corbyn’s limitations and to the imperialist nature of the Labour Party, as explained by Akala. In support of a Corbyn vote, serial abstainer Akala (Kingslee James Daley) wrote in the Guardian of 12.5.17: “Let’s at least show how many people need and want the progressive ticket that Corbyn is running on”. By way of example: Each Tomahawk cruise missile costs around £800,000. Each laser-guided bomb £100,000. One Harrier Jump Jet £20 million. HMS Splendid: £2 Billion. BBC News 15.10.1999 reported that the Kosovo war cost £30 Billion; 44 million were spent on the first day alone. Add to this the 500,000 landmines spread throughout the country. And the rebuilding costs, always immensely superior to the sums spent on weapons. Etc. Unite, TSSA and most Unions facilitated the task for Momentum. Now the RMT talks of re-affiliating to Labour, and John McDonnell is keenly inviting RMT to do so. The Unison Conference lauded Jeremy Corbyn and called for the Labour members to enjoy the right to re-select their MPs. In Bolton West, the Tory majority was only 801. The Labour candidate Julie Hilling got no money to campaign with, and Regional HQ advised supporters to campaign elsewhere. So she lost by 936 votes. In Derby North, Chris Williamson lost by 41 in 2015. This time, his HQ sent some canvassers to Margaret Beckett’s safe constituency in Derby South. Things ended up well however, as Labour won on both sides, thanks to Momentum’s intervention. Glasgow South West was lost by 60 votes. There, Matt Kerr was advocating the Basic Income, but he was far from sufficiently supported by his Party. Battersea is a Tory marginal. The Labour Party did not imagine it could win there. But Labour won there, with a majority of 2,000, whilst the Conservatives went down by 10%. But Battersea canvassers had been sent to Tooting. Well done Momentum however because through its intervention, Labour went up 9% in Battersea against the Tories going down 11%; and Labour trounced the Conservatives in Tooting. Labour gained Kensington & Chelsea by 20 votes, showing what could have been achieved with a greater audacity, and what should have been tried in other areas like perhaps Croydon Central and Enfield Southgate.